Although it has technically been summer for months now, doesn’t it always seem like the end of summer is the hottest? 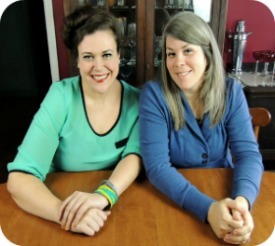 We are Southern girls, and have been looking for ways to beat the heat our entire lives. If we lived at the North Pole we would still have an air conditioner for that one day a year that it got into the 50s. Promise. So, you might not be surprised to hear that we consider ourselves experts in the art of staying cool. Grab a glass of water and chill out with us today as we share our favorite ways to beat the heat! Okay, I am going to give you a little confession. By the time August rolls around and it’s hotter than hell outside, I want nothing to do with the beach. The sand is hot, the water is hot, the sun is hot and it is really, really hot dragging all our shiz down to the water. I do my best to avoid the beach. It’s just too hot! I would rather go to the pool! 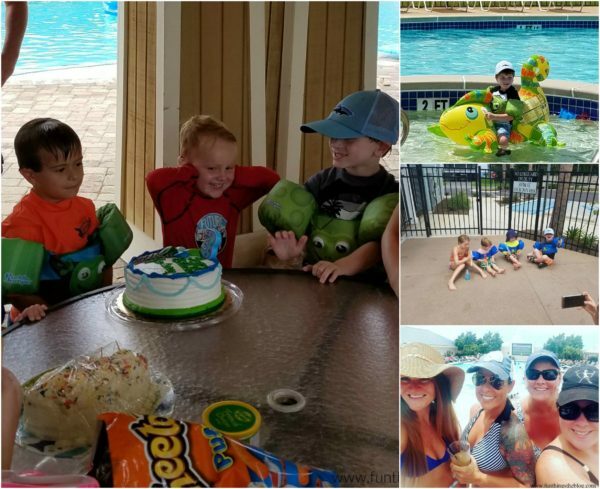 All my girlfriends agree that going to the pool with your child is so much easier than the beach- especially if you are doing some solo parenting . It takes way less effort and the kids have just as much fun at the pool as they do at the beach. The pool is still hot but you are not dealing with the sand and having to drag your stuff a 100 yards from the car to the edge of the water. 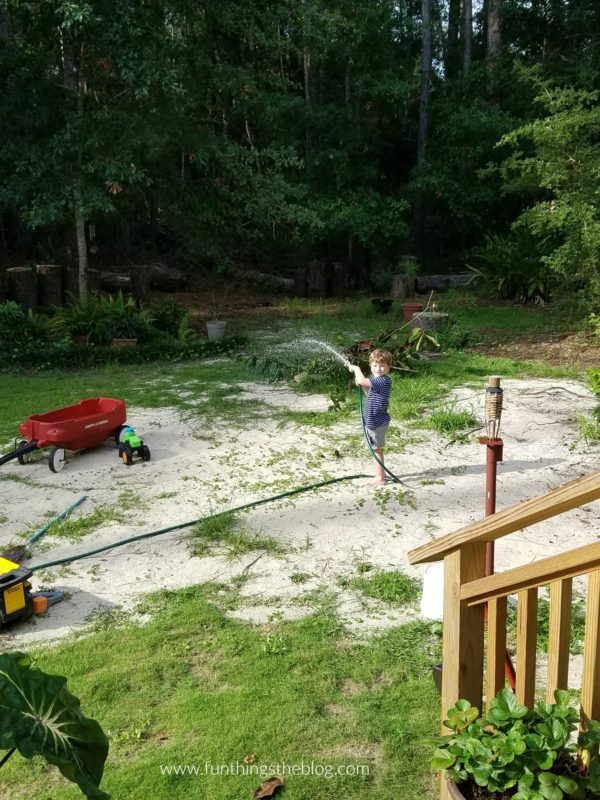 Another way that we beat the heat at our house is to play in the sprinkler and or with the water hose. Baby Bub has always loved to water the plants- I just have to understand that he is going to get soaked in the process. So, finally this summer it dawned on me to encourage him to play with the water hose. He loves it! I try not to let him go too long with the water on- but, it is hard to make him turn it off when he is having the time of his life. I get Coralie’s hesitancy 110% about going to the beach, but if you don’t live there full time, summertime is the classic time to go to the beach. The careful balance of baking in the sun (need a good sunscreen rec? Find ours here and here!) and cooling off in the ocean. Also in the water category, don’t forget about splash pads, backyard slip-and-slides, and water parks (three things that were created solely for cooling people off in the summer). Everyone loves a splash pad. Especially kids! And depending upon your tolerance for swimming in people soup and walking around in wet clothes, a water park can be an epic day. As always, exercise caution. And last but not least, one of the best and easiest ways to lower your body temp is to take a cool shower or bath. And whether you are in a pool, creek, or ocean night swimming is always delicious. Again, exercise all caution. 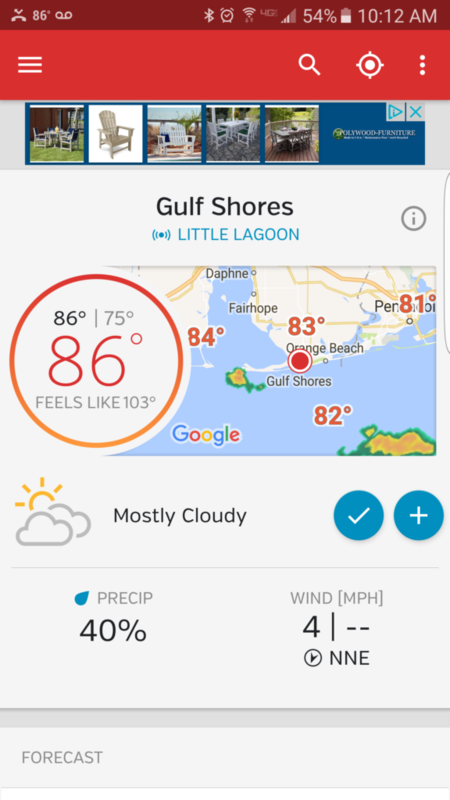 Let me say that it is hotter than the hinges of hell in Gulf Shores, Alabama! I mean 95 degrees and 100% humidity. Bub Cantori gives me the daily update and it goes like this: 91 degrees, feels like 154. Seriously. 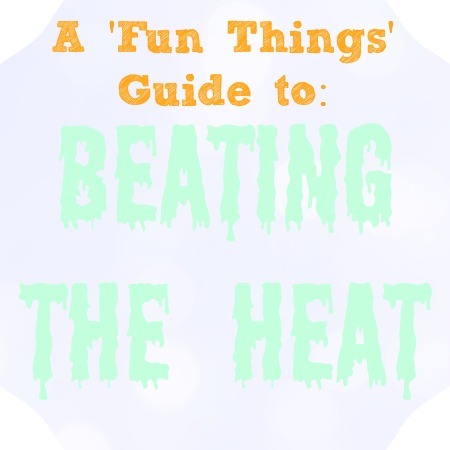 So, I am in a constant search for ways to beat the heat! Around the Scott compound, Icees are king! All three of us are BIG fans. Baby Bub has a tendency to lean towards to lean towards the green and blue flavors. Bub likes all things cherry- white cherry is no exception. I myself like a skittle of flavors. All of three of us though, pretty much go crazy for an Icee. It is our special treat when we get our work done and certainly how we try to beat the heat. Also, it would not be summer without watermelon. There is just something so delightful about ice cold watermelon straight out of the refrigerator or cooler. It is a staple around these parts this time of year when it’s time to beat the heat. Coralie is right about the watermelon. In fact, eating salted watermelon is one of the best things you can do in the heat. Not only does it replace fluid, but also sodium lost in sweat. Dehydration is no joke. Earlier this summer, in our post about Summer Cocktails, we talked about how cold beverages and cocktails are a sure-fire solution against summer heat. Obviously water is the ultimate cool treat and we remind you to stay hydrated above all else in the summertime. Need some ideas for some awesome cool treats? 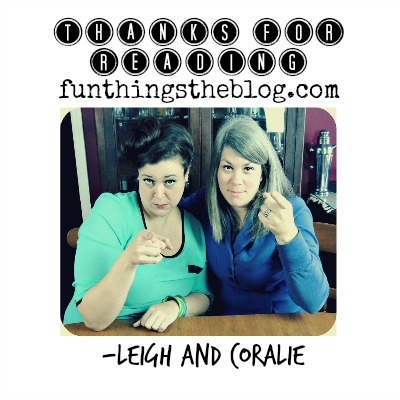 Here is the part where I plug all of the delicious yummy cool treat recipes we have in our archives. And lest you think that cool treats are exclusively sweet, think again. May I remind you of Coralie’s Cucumber Salad recipe and the Cookout Essentials post we just wrote two weeks ago detailing exclusively foods that tasted good in the heat! I have to be honest, one of my favorite ways to beat the heat when it is hotter than the hinges, is to lay up on the couch in the good ol’ air conditioner. I genuinely enjoy down time. I mean, laying on the couch under the fan watching tv and napping is my idea of a wonderful afternoon. I agree with Coralie. Taking off your pants and napping in the air conditioner/under the fan is one of the most decadent of luxuries. And there is a reason why they call it Netflix and chill. Taking a break in the cool is a surefire cure for any heat related aggravation. Although it is neither environmentally friendly or cost effective (if your car has good air conditioner) driving can also be a place to cool off. And if you have no air, and your house is to stuffy, unzip the screens on your tent and sleep outside! One of the fastest, cheapest ways to cool down quick is to use someone else’s primo, industrial-grade air conditioning. It can be found in three price tiers: free, ticket, and big ticket. In the free category: consider strolling down the frozen foods aisle at your grocery store, going to the mall, sitting in the Best Buy A/V showroom, or going to Sam’s Club. To keep it free, make sure not to buy anything. Or do! Summer is one of the rare times when errands can be a blessing. In the second tier, for the price of admission, you can gain access to some of the most deliciously efficient central-air units: movie theaters and museums/exhibits. Going to see a movie is one of the best ways to beat the heat. 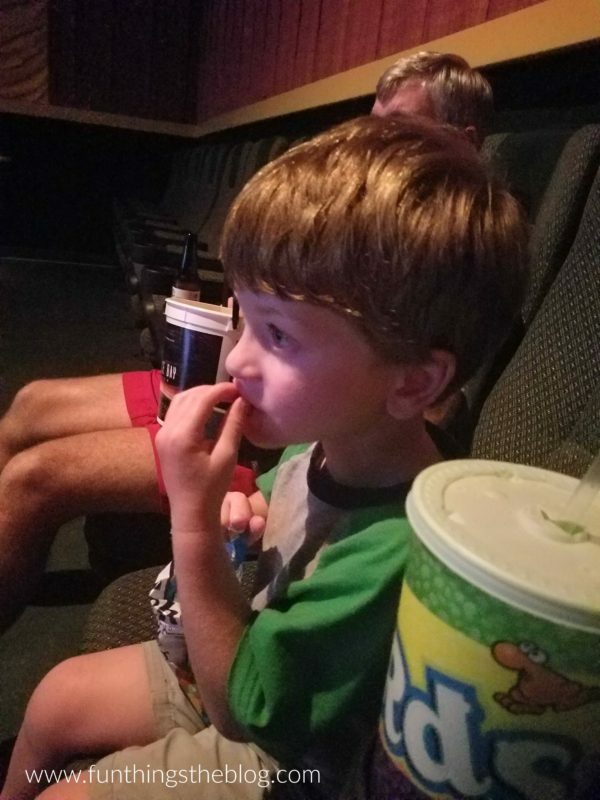 Look at this picture of Baby Bubs at the movies. Precious. Lastly, in the big ticket category, change your scenery. Whether this means getting a hotel room when your air conditioner breaks or buying a plane ticket to a cooler clime, throwing money at the problem is obviously effective. Do you know what else is crucial for staying cool? Having the right summer wardrobe and beauty/ablutions routine. I spend most of my summers in linen, gauzy materials, and cotton. I also spend most of my summer with my hair “up” and off my neck. Here is a great round-up of gorgeous/easy updo’s for summer hair many of which I’ve tried this summer! Hats are also crucial for keeping you cool. Summer and straw hats go together like well, summer and straw hats. (Here’s my guide to cleaning those beautiful hats!) And whether it is sartorially cool or not, I’ve also been rocking my parasol this summer. I opt for a lighter make-up routine in the summer and use a primer to keep what I do have from sweating off. As always, one final reminder to diligently apply sunscreen. Again, find our SPF recommendations here! And if all else fails, put an ice pack up against your carotid arteries or inner wrists! It’ll circulate the cool around your body. There you have it! Our crucial staying cool moves. Did we miss something? Do you have a go-to staying cool secret you’d want to share? What’s YOUR favorite ICEE flavor? Or are you an Otter Pop kind of person? As always let us know!